Lot of people complain that hairdressers have cut too much beyond your request. Well, it is partly your fault. 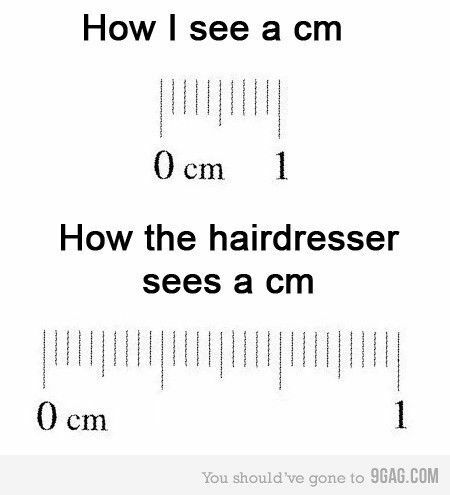 You need to be exact with your measurements as to how much you want your hair cut. Don’t be vague and say “cut a little bit”. Give them a solid number or show them how much to cut.